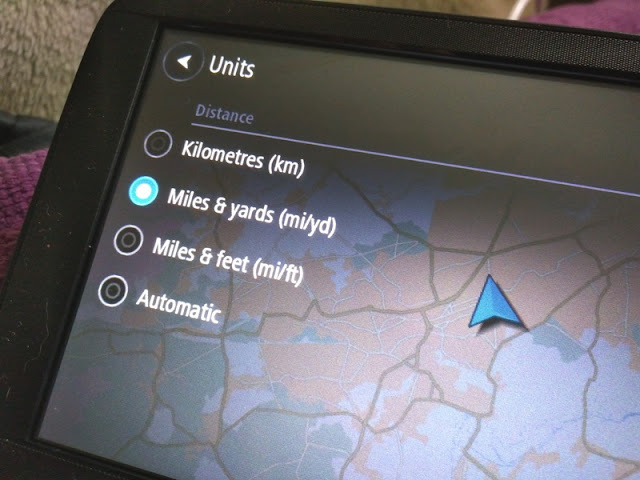 From finding your nearest petrol stations to detecting traffic jams and speed cameras, a car satellite navigation system is a nifty little device that does more than plan your route from A to B! 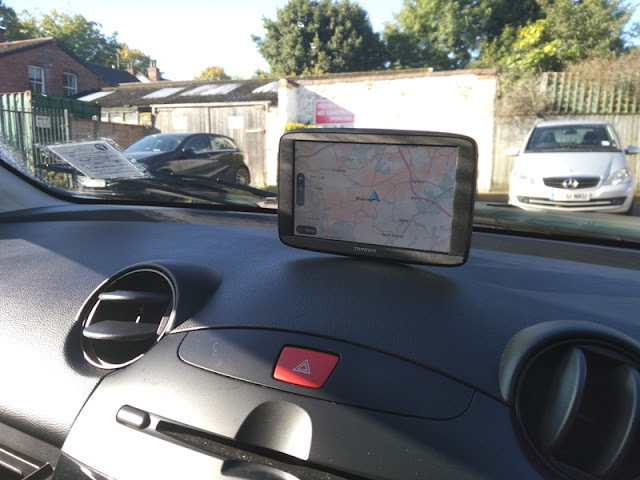 With a sat nav in your car, it's like having your best friend with you, giving you valuable intel while helping you out find your way. 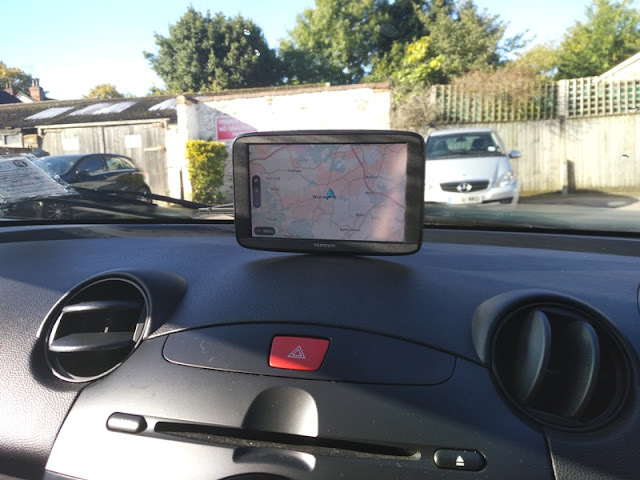 The sat nav you see in the pictures is the Start 62 sat nav, which is the TomTom 4AA63 model that comes with a micro SD card slot, 8GB of internal memory and a preinstalled 2016 map of Europe (v980.7951), which covers the whole of Europe including the UK and Republic of Ireland (ROI). 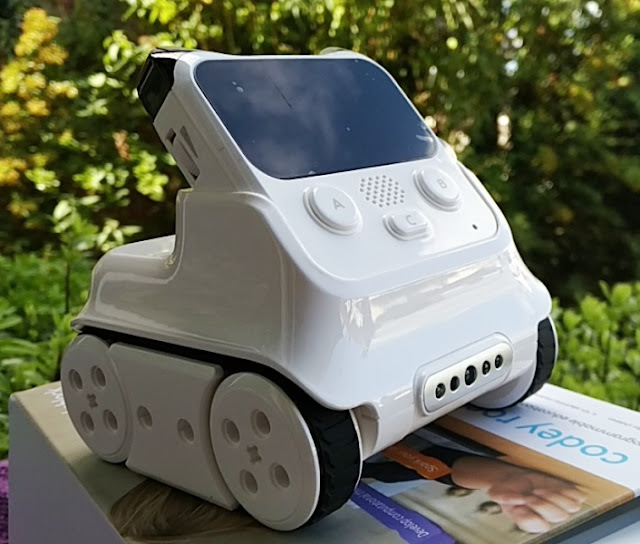 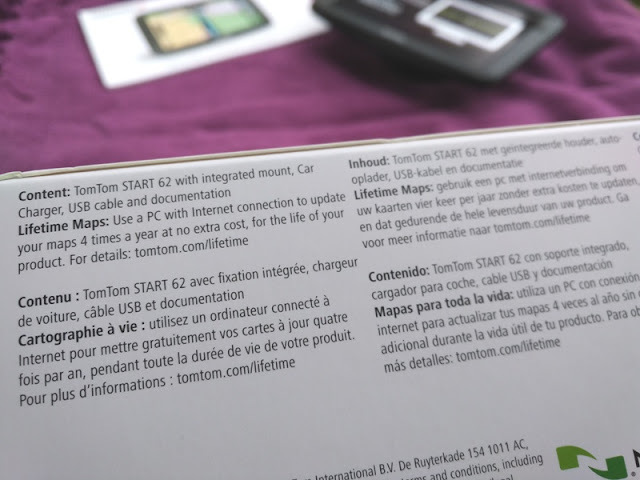 Inside the box, you get a USB cable and charger, user manual and the TomTom Start 62 which features a suction mount with ball joint that can be flipped outside down. 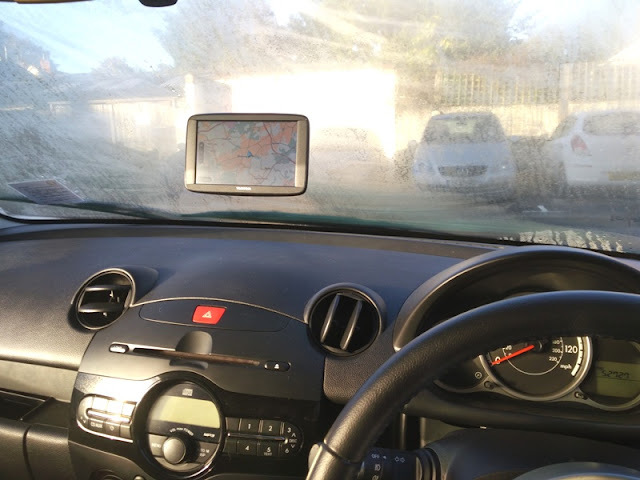 The resistive touch screen is 6 inches (15 cm) in size and has a screen resolution of 800 x 480 pixels. 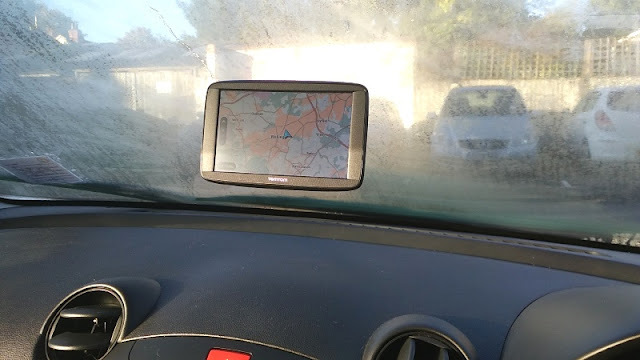 The map screen features navigation arrows, as well as zoom functionality, a menu button and a handy arrow locator to pin point your current location. 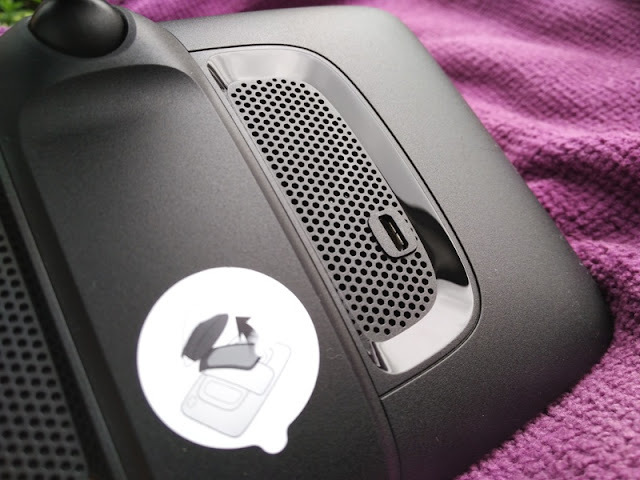 A resistive touch screen means touches on the screen are pressure sensitive rather than conductive sensitive like the screen on a smartphone. 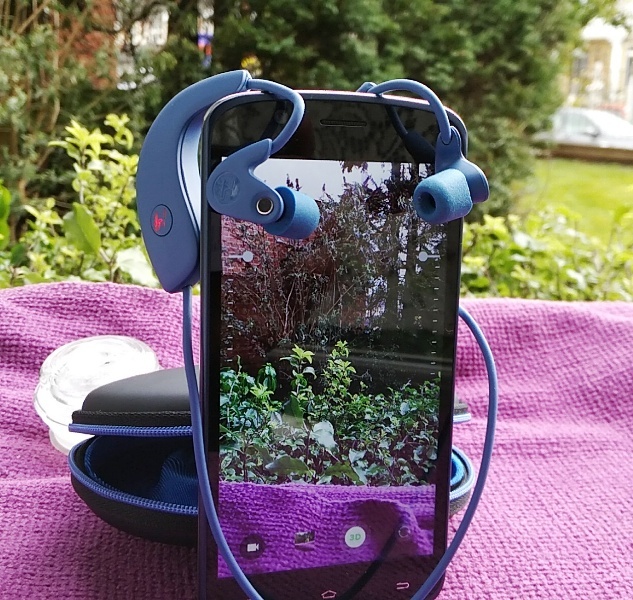 The resistive touch screen allows you to use gloves on, unlike the screen on a smartphone. 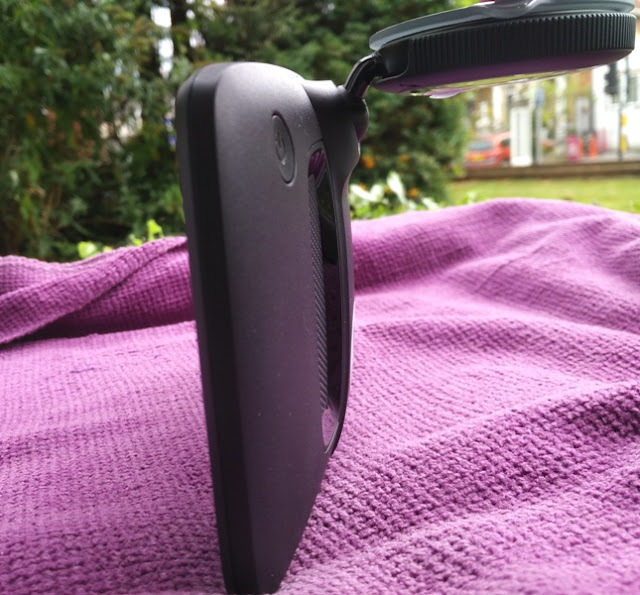 Built-in the device is a 1.7 V 1020mAh battery that lasts around two hours from a single 4 hour charge. 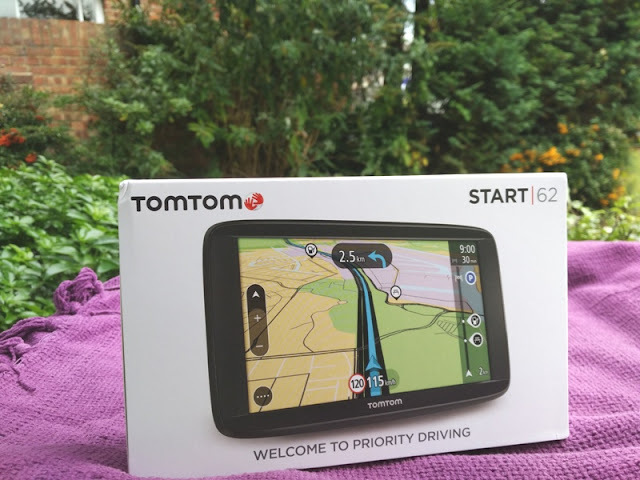 The TomTom Start 62 sat nav weighs 280 grams and measures 16. 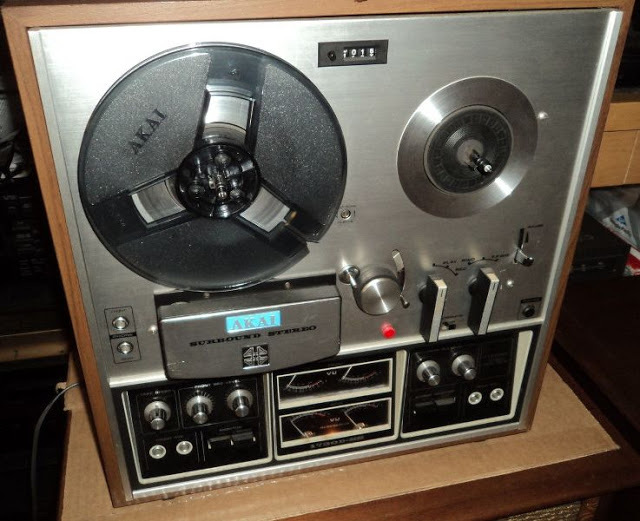 25 cm wide, 10.48 cm high and 2.38 cm thick. 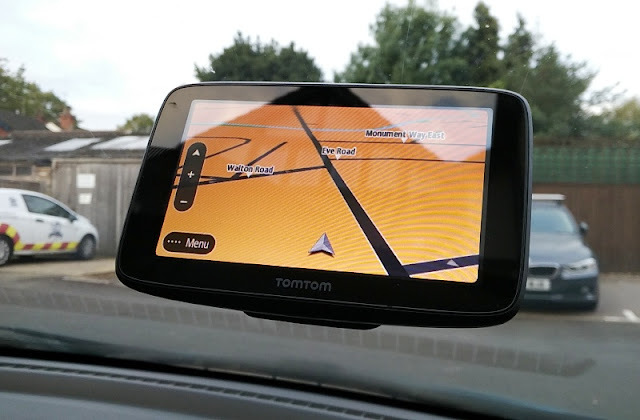 The TomTom Start 62 has a detachable and reversible mount that allows you to face the mount up or down. 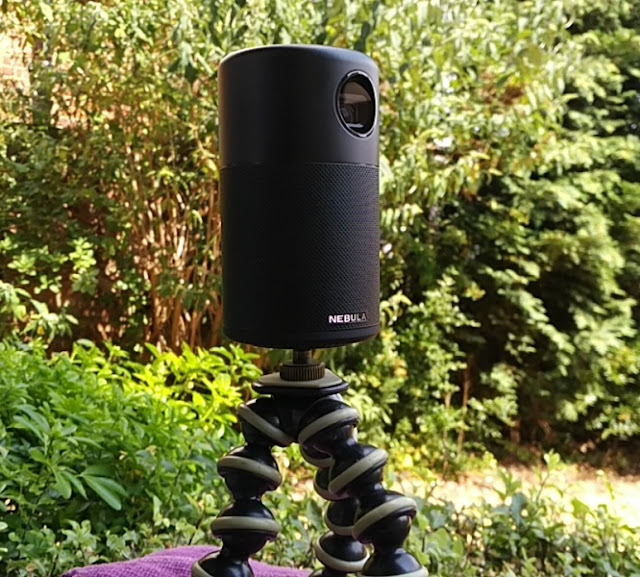 The mount is low profile and discreet, while the suction mechanism is attached and detached via a clockwise and anticlockwise motion. 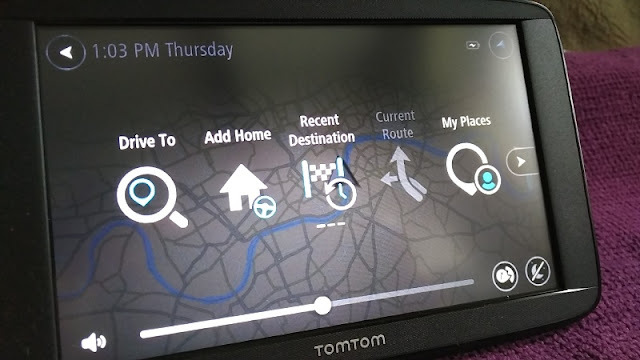 The TomTom start 62 main menu consists of three scrollable screens with menu options. 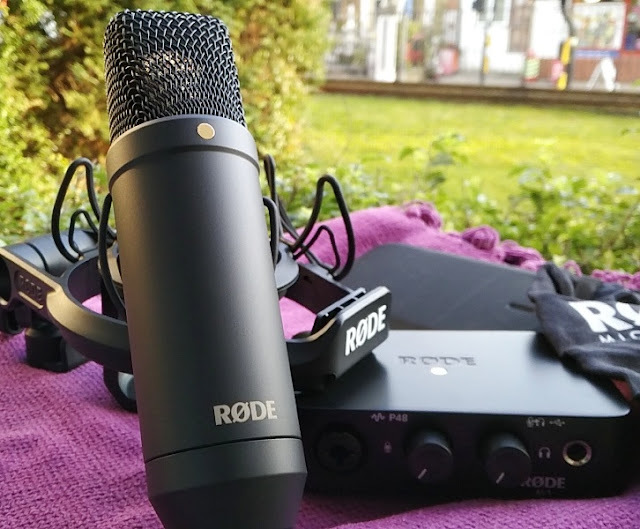 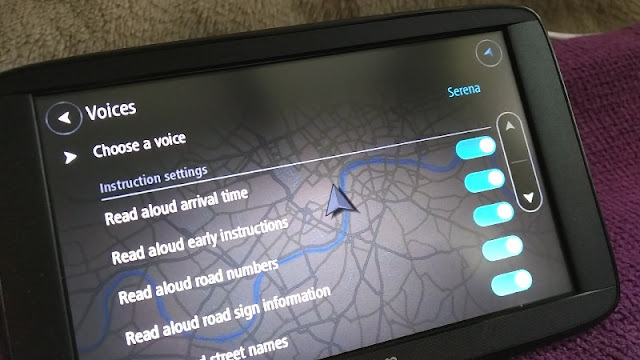 From the menus, you can adjust the volume of the voice instructions or turn off voice instructions completely, as well as turn on night or day mode, which adjusts screen brightness automatically. 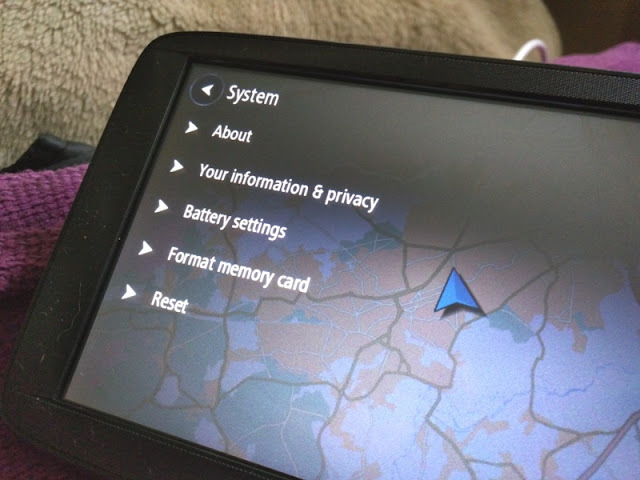 The question mark you see on the screen above takes you to the About screen and the legal/ privacy information screen. 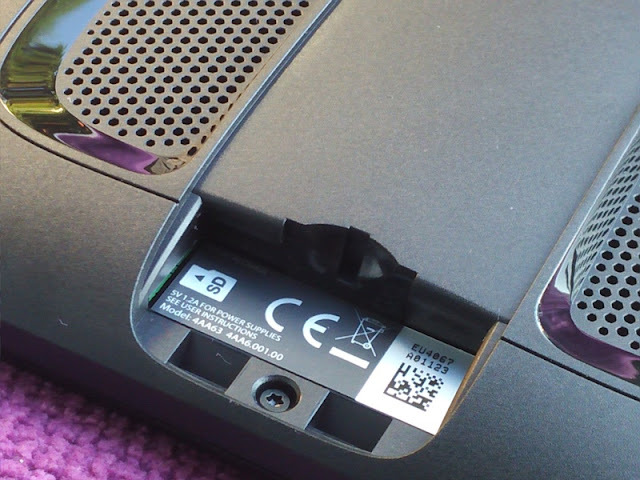 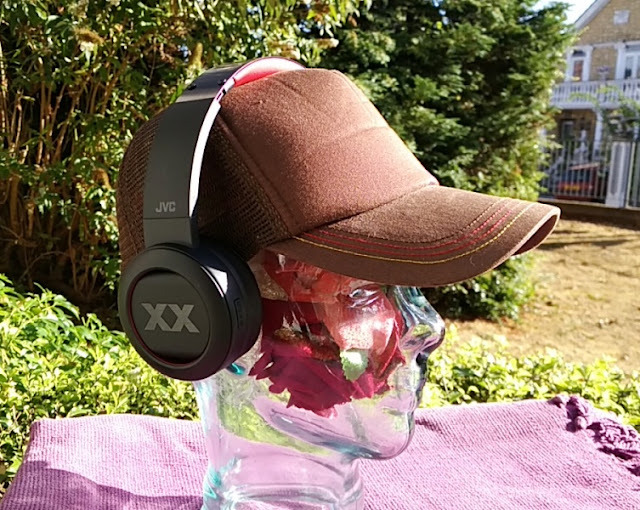 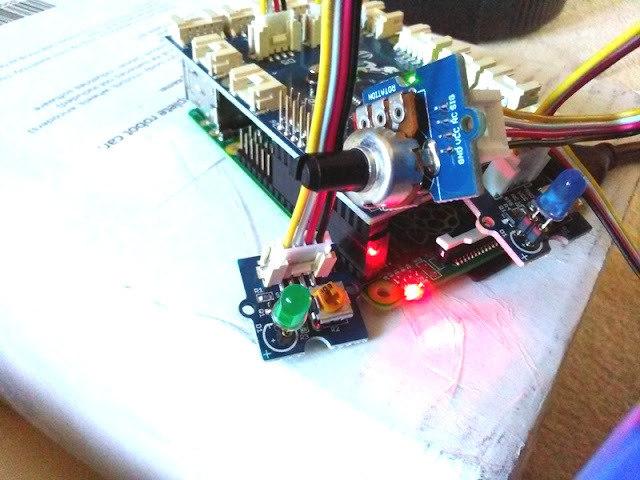 The About screen contains the Serial Number of the device, the current software version number, installed maps, language, available free internal space, as well as the last time the device was connected to MyDrive Connect. 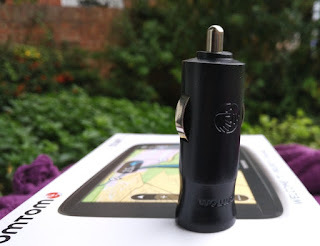 Scrolling through the menu screens and making selections is easy with a finger thanks to the touch screen. 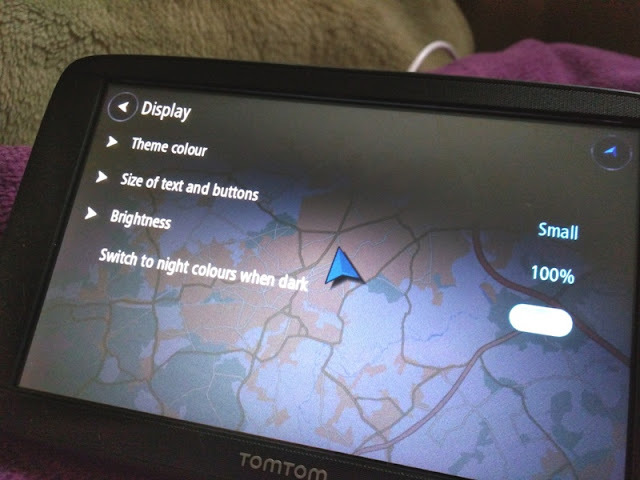 A nifty menu feature the TomTom Start 62 has is the ability to pin menu options to the screen, allowing you to navigate through menus without having to scroll left and right. 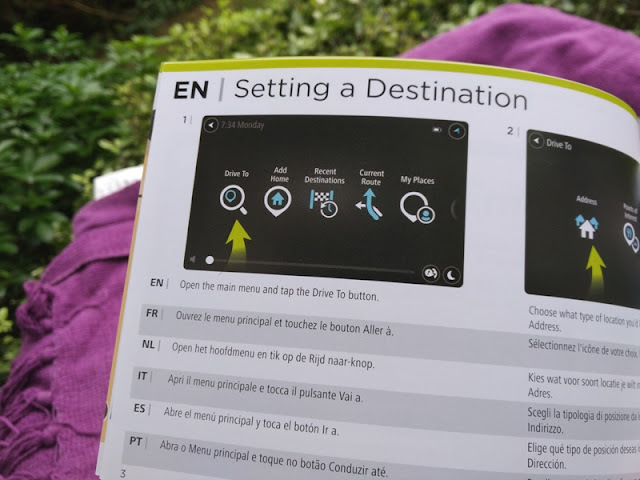 Each menu option has sub menus. 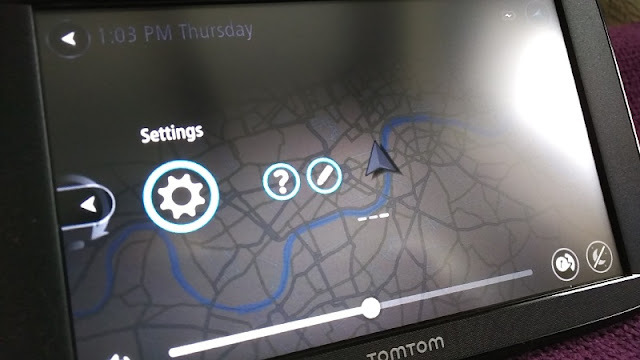 The Settings menu consists of two scrollable screens with menu options that allow you to change the settings of the TomTom Start 62. 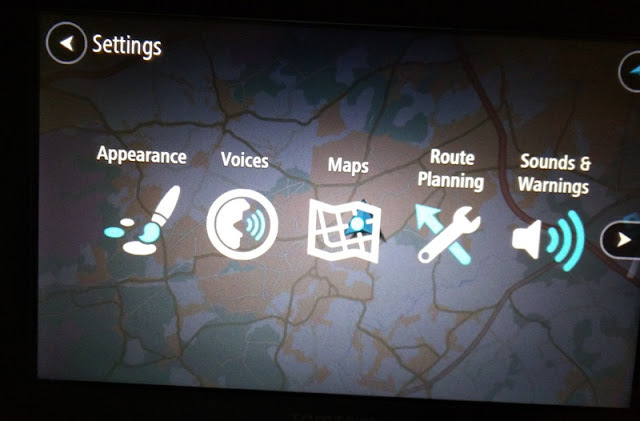 The settings menu include appearance, voices, maps, route planning, sounds/warnings, language/units and System settings. 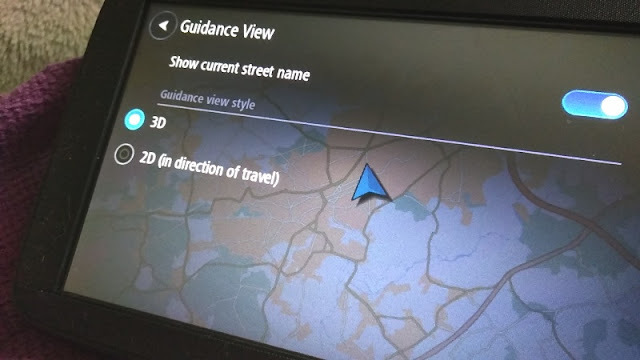 You can change the size of the display text, adjust brightness, enable or disable route information if you don't want the information displayed on-screen. 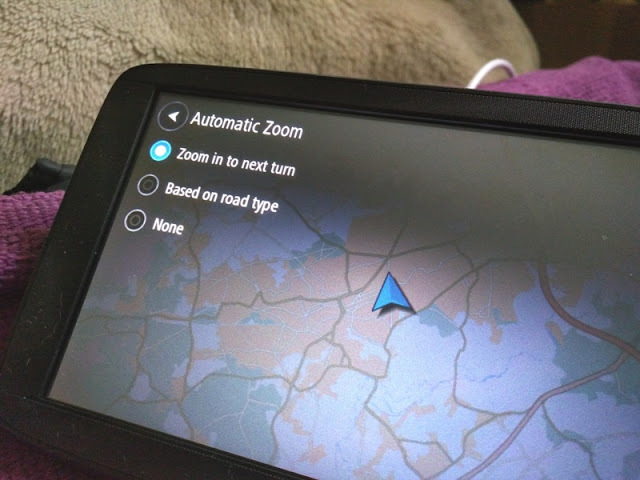 You can also change the voice sound, upload a different map, choose a fast route, chance the view from 2D to 3D and zoom in (or out) automatically into the next turn. 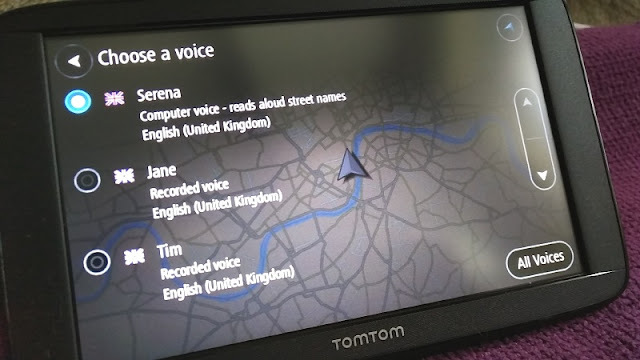 As mentioned earlier, the voice instruction of the TomTom Start 62 sat nav can be changed to different English accents, German, Spanish, Arabic, etc. 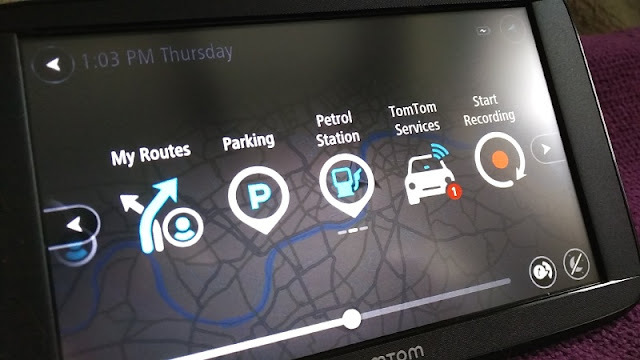 You can also have the TomTom read out loud the arrival time, early instructions, road numbers, road sign information and street names. 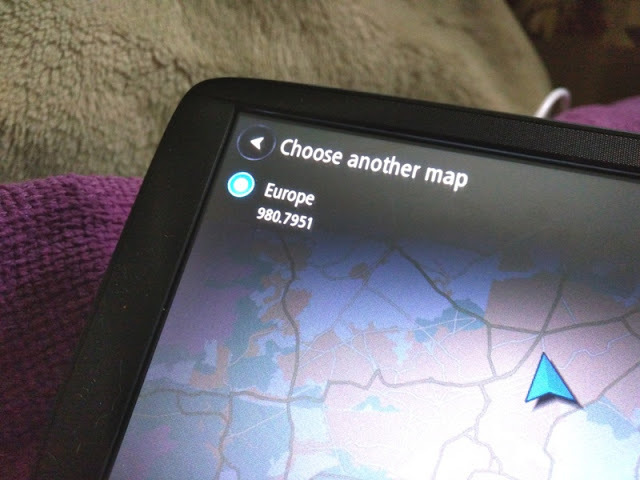 You can disable all of these as well. 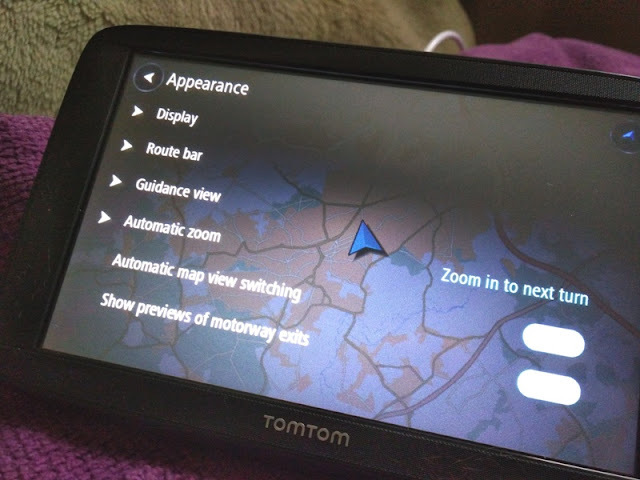 Another cool feature you get with the TomTom Start 62 software is audible warnings. 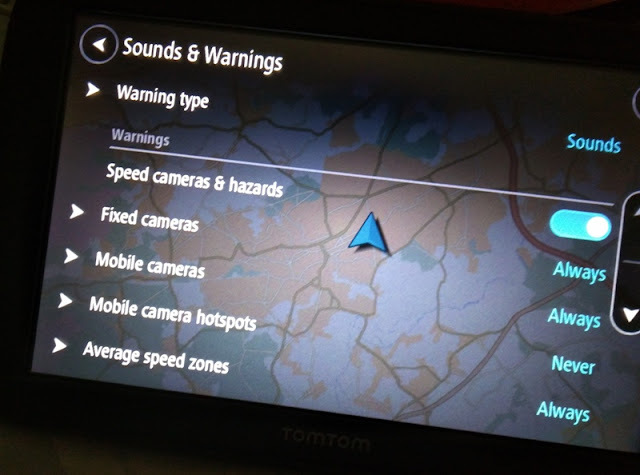 You can have the TomTom warn you of mobile camera hotspots, red light cameras, fixed cameras, average speed zones and more. 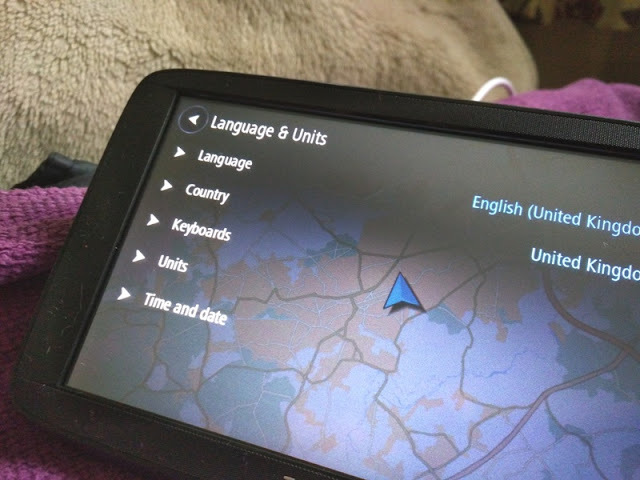 The Language and Units screen allows you to set the language of the TomTom device, as well as the country when driving overseas. 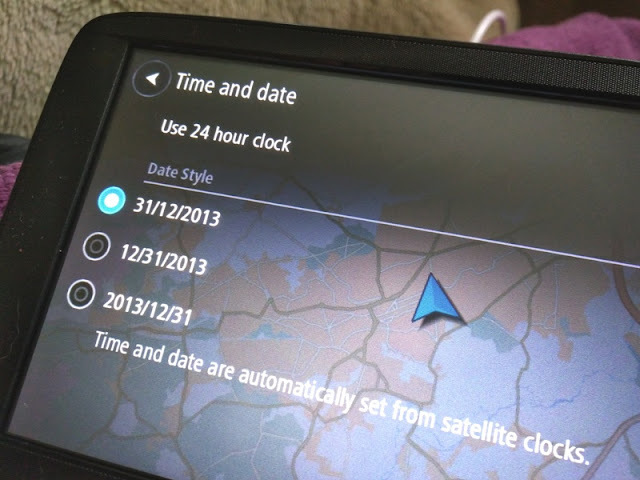 You can change from kilometers to miles/ yards or to miles/feet, as well as set the date style and use a 24-hour clock. 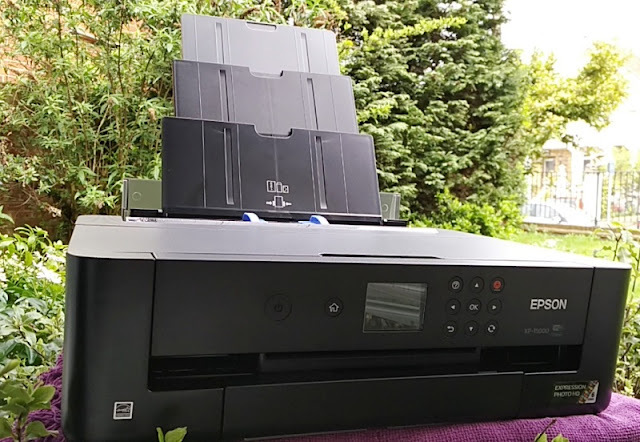 From the Systems menu you can also access the About and legal screens, as well as the battery settings, the micro SD card (for formatting) and reset to erase all data to factory settings. 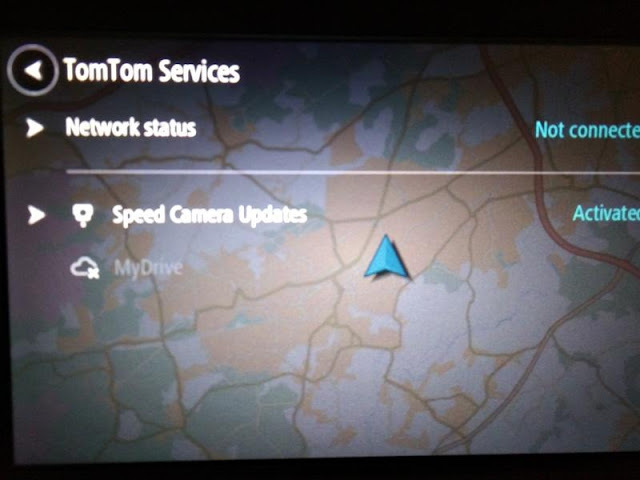 TomTom Services is another great feature that comes really handy as it provides you with live information on traffic and camera updates. 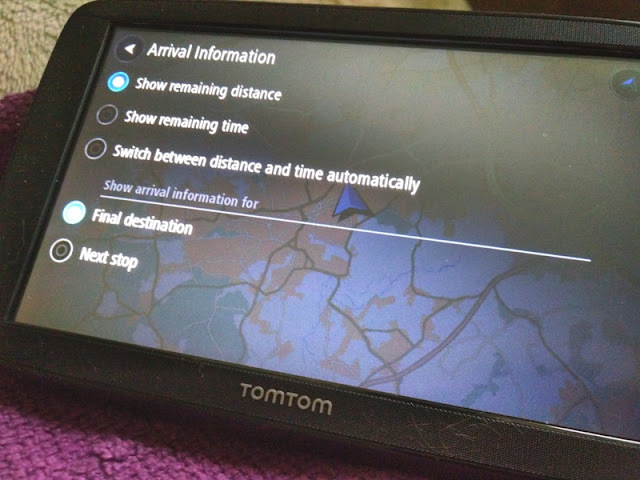 You can connect to TomTom Services by allowing the TomTom device to tether the data on your smartphone. 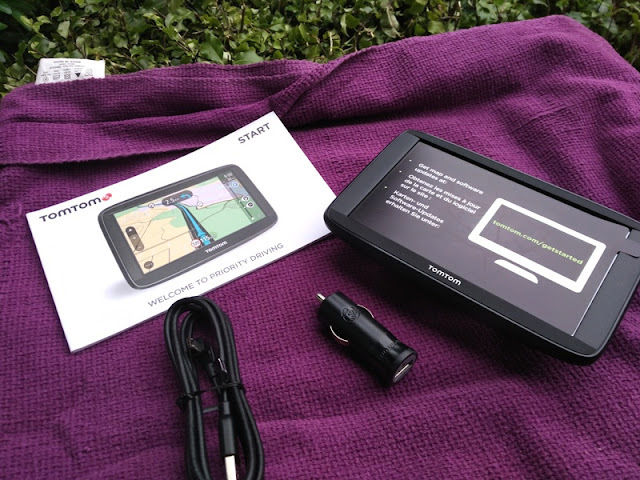 Other TomTom sat nav models such as the 5100/6100 have built-in SIMS to obtain the data without using your smartphone. 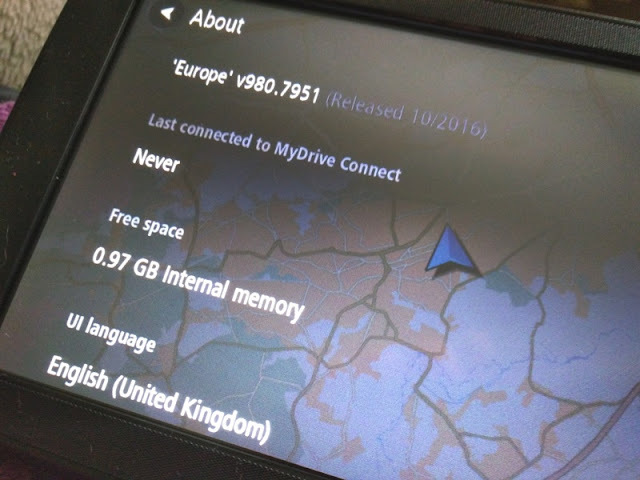 When it comes to updating the device and getting the latest maps and software, you can do this via the free TomTom MyDrive Connect desktop application. 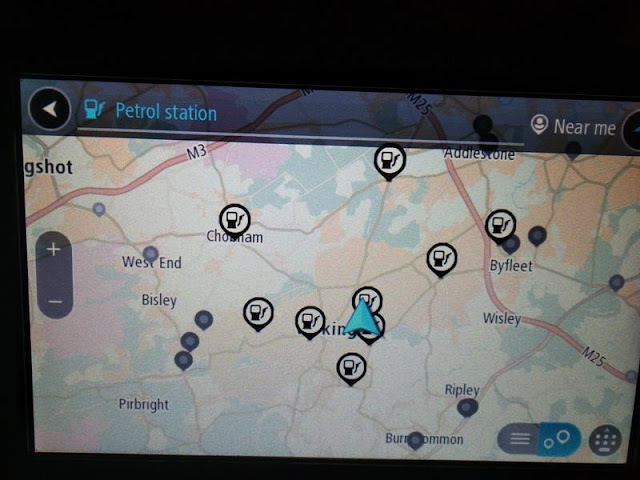 TomTom provides several weekly updates so you will want to hook up your device regularly to keep it up to date. 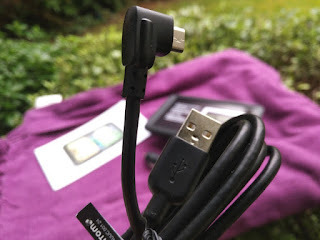 If connecting to a PC seems a hassle, get the TomTom Go Essential as it comes with built-in WiFi. 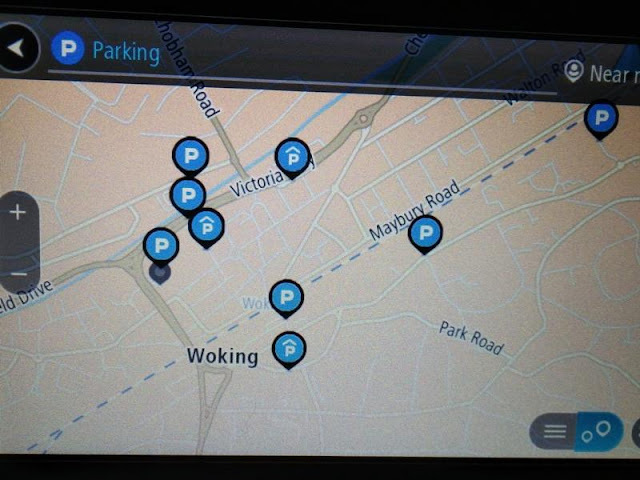 From the device itself, you can also get information at a glance of your nearest petrol stations and parking areas at a push of a button. 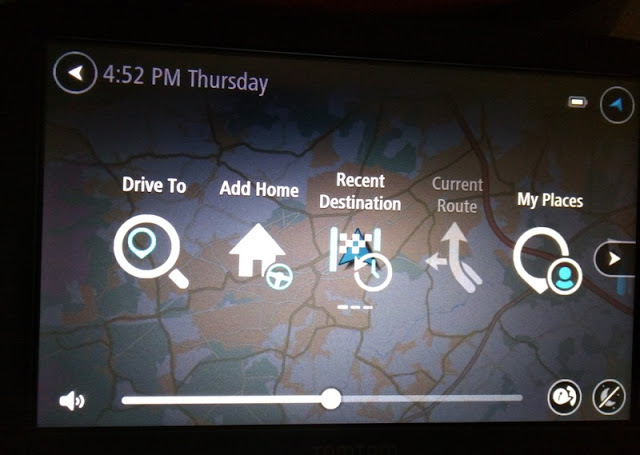 As mentioned previously, the main default screen includes the following options: Drive To, Add Home, Recent Destination, Current Route and My Places where all your past destinations are saved. 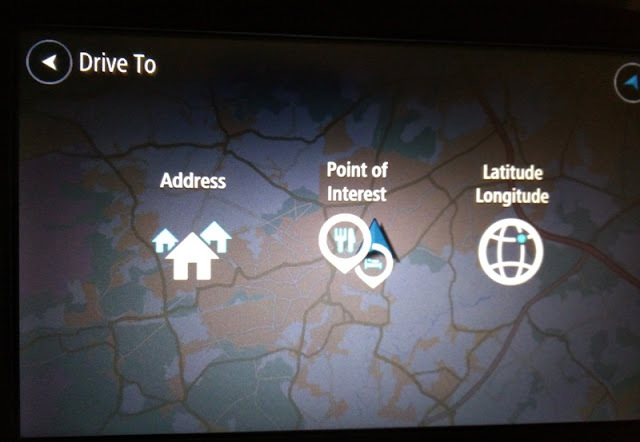 Drive To allows you to select a destination based on address, point of interest or latitude/longitude.coordinates.